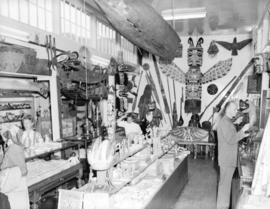 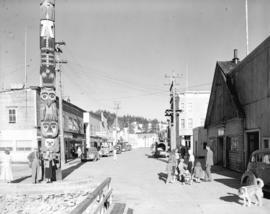 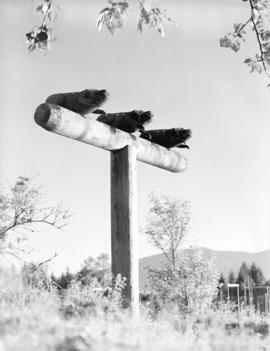 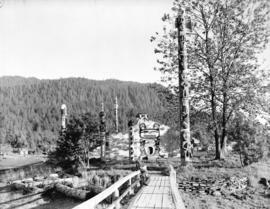 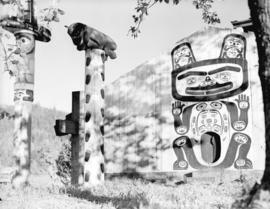 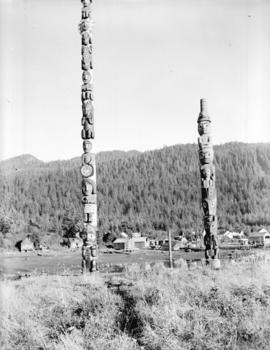 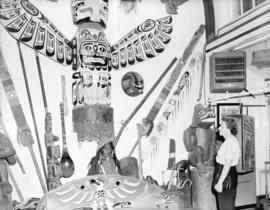 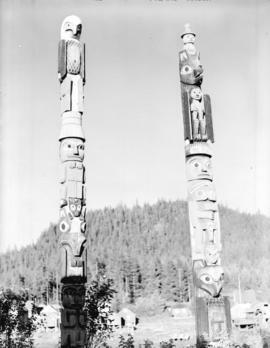 Photograph shows First Nations totem pole, masks and other carved items. 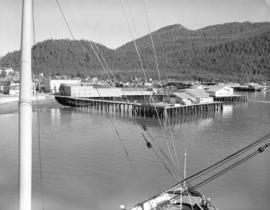 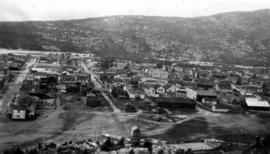 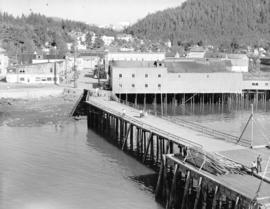 Item is a photograph showing a view from above of Wrangel, Alaska. 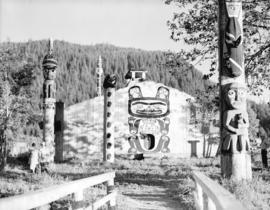 Page title is "Mother's Trip North, Sept. 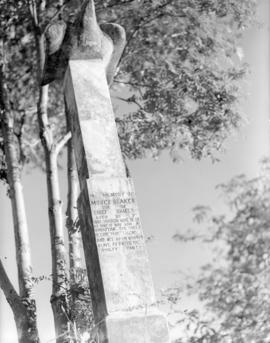 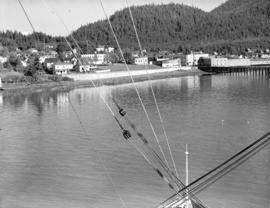 1917." 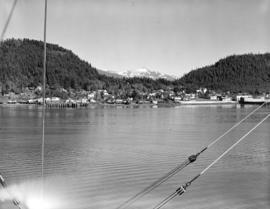 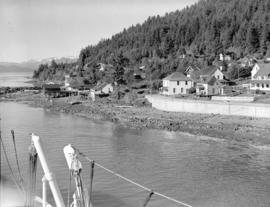 Photograph shows view of township from a boat.